Equities start the day lower as this miserable range finally breaks! Actually no, no it hasn’t, but I wanted to write that to see what it felt like. Mmmm, feels good, like a toasted marshmallow milkshake. -0.01%, that was the move yesterday and it felt exactly like it sounds. I don’t know, I guess slow is the new black, there’s just no impetus to do anything. The ECB met this morning and Draghi said “no new cowbell” and that caused futures to dip pre-open. Is that a good reason to sell futures? No, but that never stopped anyone before. Fischer was hawkish in Jackson Hole and that knocked a few bps off the market so Draghi is no different. You know the scene in The Hunt for Red October when that sonar dude is trying to explain why the readings make no sense to the submarine captain? In the end he says his systems default to “looking for earthquakes” when it can’t figure out what it’s hearing (God I love this movie and I’m excited to work this reference in). You know what the market defaults to when there are zero catalysts out there? Obsessing over Central Banks. That’s the absolute baseline “what can I worry about today because I have to worry about something all the time”. So Draghi fails to introduce some kind of croissant backed mortgage facility that wouldn’t increase lending in Estonia anyway and futures in the US fall 7 points. Yea, that’s the world you invest in, isn’t it great? Hey NFL starts tonight! We should talk about that right? Here’s my super bowl prediction: Seattle vs Pittsburgh with PIT winning. I love the burgh! After the open Apple traded lower because I told you on Tuesday that it would (that video is amazing). 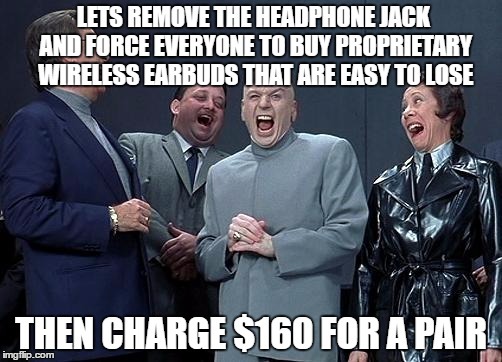 So let me get this straight, you are introducing wireless headphones that, at $159 for a pair, will inevitably fall out of my ears and be lost to the same place all my socks go. Great…congrats on your new profit margins. We spent most of the morning trading lower for the reason I mentioned before so let’s take a look at a few other movers shall we? Energy names were the big winners, stuff like CHK, DO, MUR, APA, and MRO because oil was up 4%. Supplies FINALLY tumbled in a meaningful way (most since ’99) so the ole Texas Tea was brewing. The biggest loser was TSCO, which fell 17%. I guess tractors are in short supply (I feel like I’m on a roll today am I rite?). Let’s talk about Transports for a second because their relative strength has been epic. 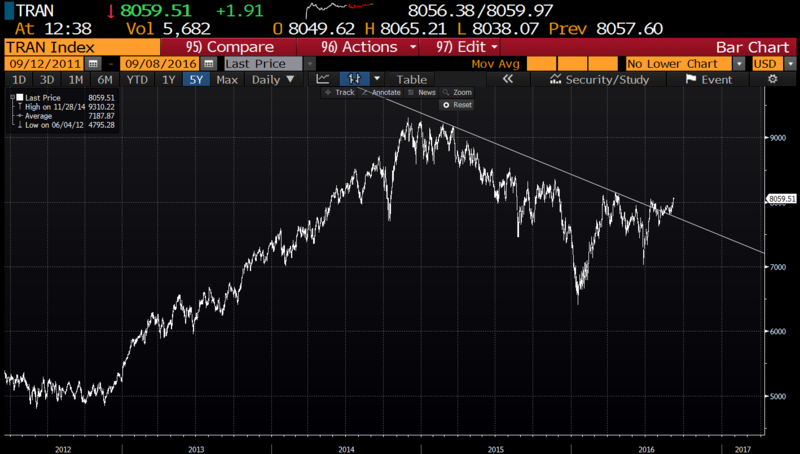 What are the naysayers and recessionistas going to say if this thing keeps grinding higher? And what about all this rotation? Wanna see a really crazy looking chart that actually tells a story? Check this one out my friends, they be selling Utilities, Telecom, Staples and buying Tech, Financials, and Industrials. There’s a healthy rotation going on even though the market is wandering like Finn thru the wastes of Jakku. I like it. By lunch we sat on 2,179, down 30bps, in another really aimless session. How about this tidbit from @conorsen today: “The total range on the S&P 500 since mid-July has been ~48 points. There were multiple days in January where it had a bigger range in 1 day”. The afternoon saw a small rally because unchanged is reunited and it feels so good (you’ll sing it all day). We closed at 2,181, down 20 bps as the world waits for the next Fed meeting. 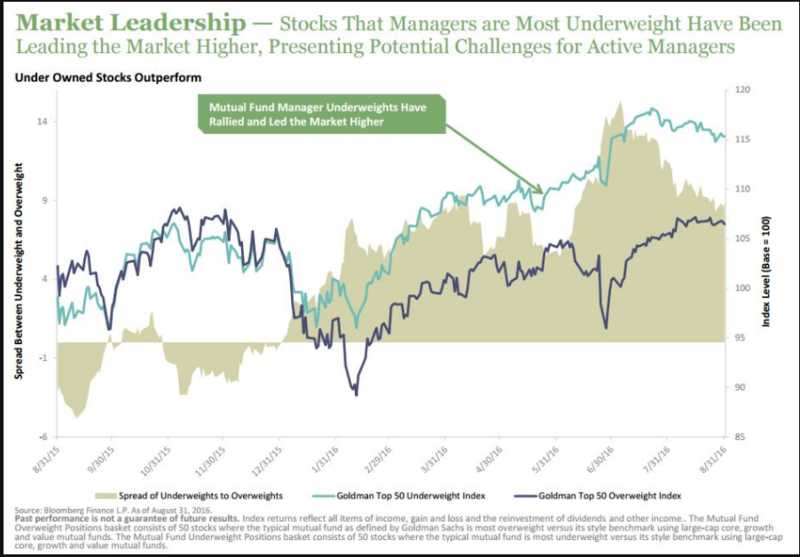 So I wanted to end on this chart by Michael Batnick that once again shows why “being out of consensus” is basically the only way to make money in the investing world. Or buy the company that makes AMZN boxes because D@MN. Final Score: Dow -26bps, S&P500 -23bps, Nasdaq -46bps, Rus2k -21bps. Volume was a bit above avg. Our desk was better to buy. 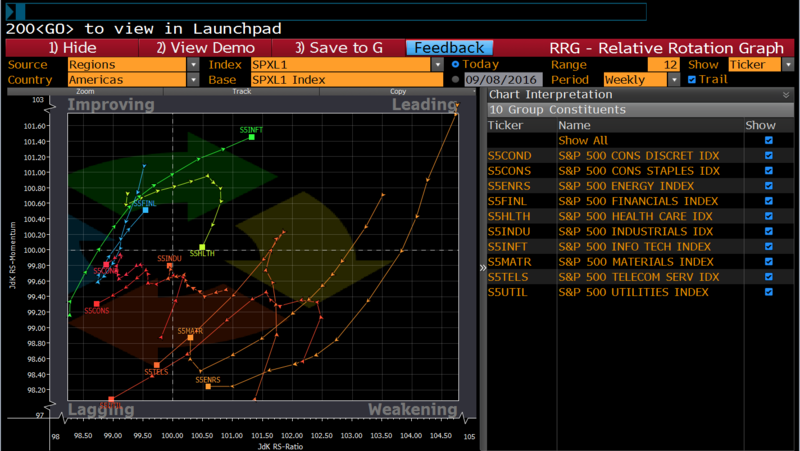 Buying in Industrials, Tech, and Health Care. Selling in Retail and REITs. Shorting in Biotech and Chemicals. Not much today so let’s skip to the big finish. The first video is a cliff jump. Not just any cliff jump, no, this one features the closest brush with death you’ll ever see. I mean wow. The second video is Batman. Though I must say, Batman sure has gone downhill since George Clooney whipped out that Bat Amex card. I mean that was the pinnacle of cinema.